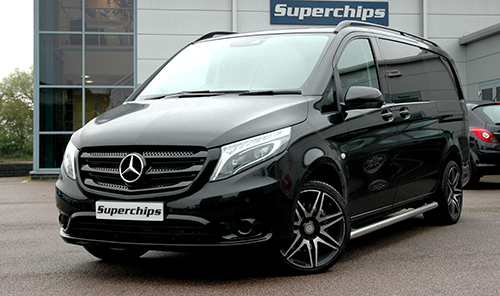 Drivers and operators of the third generation of the Mercedes Vito light commercial model can now enjoy improved performance and potentially, savings in fuel cost thanks to the latest addition from global ECU remap leader Superchips. Models from 2014 onwards and using the 2.1-litre, 119 BlueTEC turbodiesel engine, running on Bosch management and developing 190bhp, can experience significant gains throughout the rev range. Power is increased by a very healthy 32bhp at 3498rpm while torque increases by a huge 70Nm at 2153rpm, right where it will make the biggest difference. The shape of the power and torque curves with the Superchips remap mirrors those of the original engine perfectly but shifted upwards, meaning no change to the engine’s characteristics, other than the increased output. The gains in the low to mid range mean that cruising is more relaxed, as is general driving while overtaking will be safer thanks to the additional power available. The engine is available in the panel van, crew van and the tourer versions of the new Vito, meaning all operators, whether light commercial or luxury travel, can enjoy gains in fuel economy of up to 7% when driven in a comparable manner to pre-conversion. The conversion is carried out by one of Superchips nationwide dealer network and typically takes around an hour. Customers can either wait at the dealer or drop off their van and return later to collect. The cost of the Mercedes Vito 119 BlueTEC remap is £399 including VAT and labour. The conversion is covered by Superchips’ 12-month/30,000-mile warranty*. 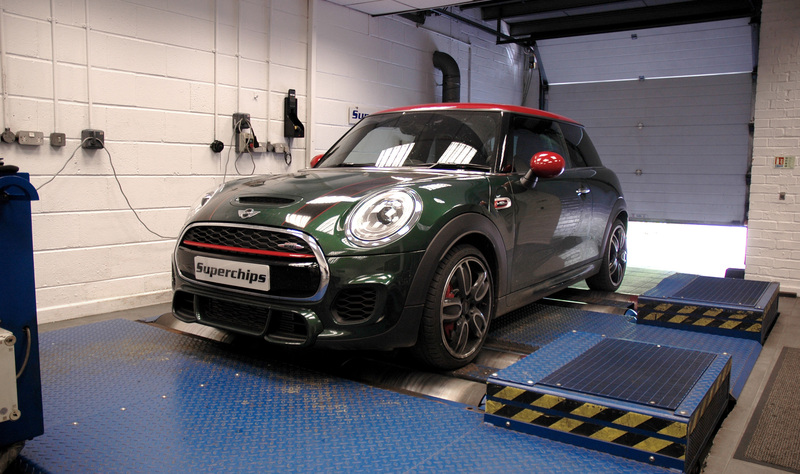 Global ECU remap leader Superchips has released a conversion for the 2015 Mini John Cooper Works (JCW) F56 twin scroll turbocharged variant. The 231bhp petrol engine receives significant increases from the conversion, which is available now from Superchips and its dealer network. The conversion adds a healthy 56bhp at 4529rpm and a very significant 92Nm of torque at 3350rpm. And while the figures are extremely impressive, the shape of the new curves is even more so. Not only does the torque curve climb and remain higher than the original, it also removes a dip in the original shape, turning this into a gradual gain. The result on the power curve is a steeper increase without the mid-range dip which resulted from the original torque drop. The result is a car that not only is easier to drive but also, exhibits improved acceleration and response over the factory version. The cost of the Mini JCW F56 remap is £399 including VAT and labour. 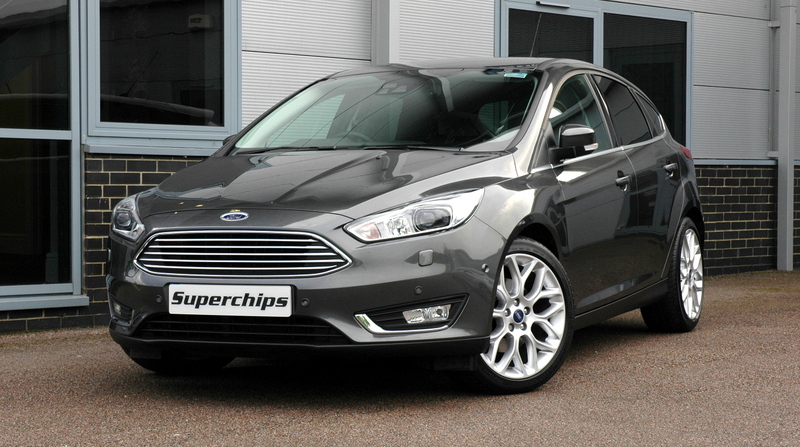 The conversion is covered by Superchips’ 12-month/30,000-mile warranty*. 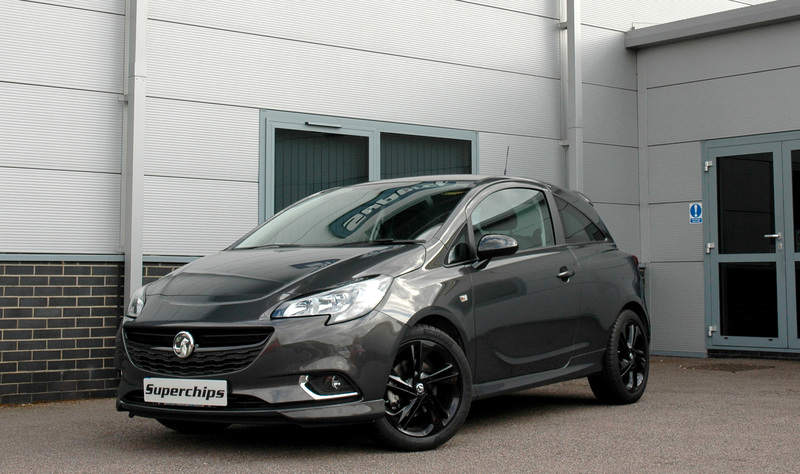 Vauxhall drivers can now enjoy a healthy increase in performance thanks to the latest development from ECU remapping global leader Superchips. The company has introduced a conversion for the Corsa 1.4T variant, which provides significantly improved performance. Using the new Superchips remap, the 1400cc engine gains an additional 49bhp at 5244rpm and a staggering 61N torque at 4429rpm. These figures are impressive enough on paper – a power gain of 50% and torque gains of more than 30% – but the curves tell even more of the story. Both the original power and torque curves show a pronounced drop-off as engine speed increases. However, the Superchips conversion eliminates this completely and delivers a more progressive curve for both the power and torque delivery. The result is an engine that performs better in all conditions, from in-town driving to motorway cruising or cross-country travel. The conversion can be carried out by one of Superchips’ highly skilled nationwide dealers, at a cost of £320 including labour and VAT. Alternatively, the remap can also be performed by the owner themselves, using Superchips’ Bluefin device, at a cost of £359 including VAT.